Splash, slide, soak and have some fun together! A group, school or team belonging to an established organization. Larger than ten (10) participants (this number can include chaperones). Please note prices do not include tax. 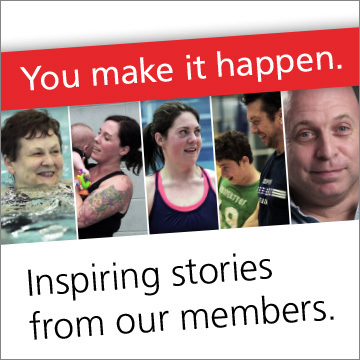 Fill out the Group Swim Request Form and submit it by email to booknow@canadagamescentre.ca or fax to 902.490.2242, Attention: Facility Rentals & Events. Our Facility Rentals and Events Coordinator will fax a rental contract back to you with your temporary booking swim time and cost. You then sign the bottom of the form indicating agreement to the rental and fax it back. Looking to book more than just a swim for your group? Contact our Facility Rentals and Events Coordinator and ask about our ‘Combo Group Booking’- a Group Swim plus time in our Field House, where the group can play a variety of sports and activities including basketball, volleyball or badminton! As the preferred hotel of the Canada Games Centre, Future Inns Halifax is happy to offer a special rate & complimentary room night program to any groups hosting or participating in an event at the CGC. Future Inns Halifax is located just off of HWY 102 South, Exit 2A and within walking distance (500 meters) to the Canada Games Centre.